Drinking Water Safety: How Safe is that Water to Drink? 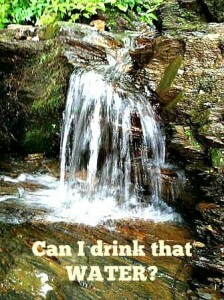 Can I drink the water in the Great Smoky Mountain National Park? 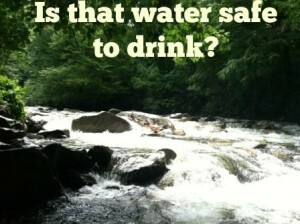 Is it safe to drink the water in the Great Smoky Mountain National Park? 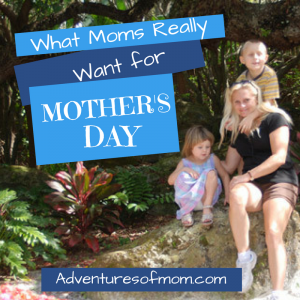 During our explorations of the Great Smoky Mountain National Park, we saw water everywhere: white water rapids, tiny creeks, waterfalls, streams, river and rain, yup, everything imaginable in the wet world (except snow). On our trek to one waterfall, there were water run offs from the mountain (seriously, where DOES all of this water come from?) and I happened to see a parent holding their child over it to take a drink. I saw the inviting waterfalls and thought- how can that not be safe? Can I drink that? 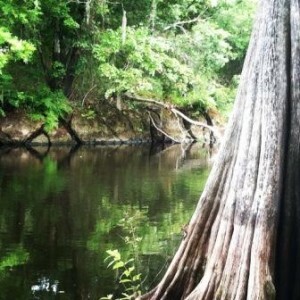 I don’t think anyone would be tempted to drink from the black muddy waters of the Withlacoochee River. 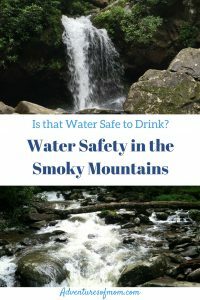 No, the water in the Great Smoky Mountain National Park is beautiful, crystal clear and inviting, and it made me think: Is that water safe to drink? Years ago, I lived on an island where the village source of water was a spring right across from my front door (the tap water was not potable)so I considered this house location of mine ideal, as I didn’t have to carry the jugs of drinking water far, unlike the villagers who lived farther up the mountain. As the village expanded, houses were built above this beautiful spring source and I wondered exactly how safe THAT drinking water had become. 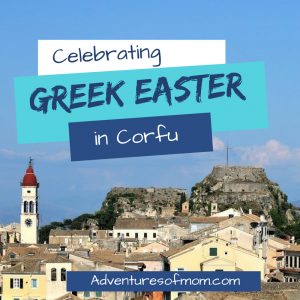 I knew a woman who had contracted amoebic dysentery in Athens during the war, a disease that haunted her for life, causing her to be bed-ridden for weeks at a time. All from bad drinking water. And because of Dori, I think before I drink. 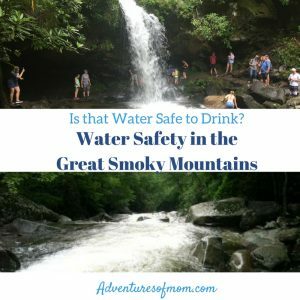 Crystal clear water surrounded us at the Great Smoky Mountain National Park, but was it safe to drink? 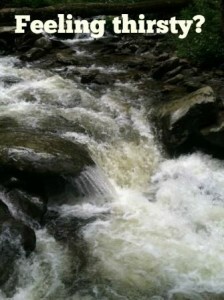 So, the moment I was able, I did a web search on the water in the Great Smoky Mountain National Park. The official take is that you must treat the water- 1 minute rolling boil- before you drink it (apparently water filters are not enough). 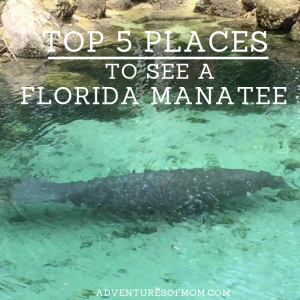 The water in the park has been known to have microscopic parasites known as Giardia, that come from poo (animal & people). Ugh. If you manage to accidently acquire these little buggers, it is 2 to 6 weeks of things like diarrhea, abdominal pains, nausea and gas & dehydration. Not so cool if you happen to be camping, backpacking or travelling (I’ve been sick in both Morocco and India with things like this, so I should know!) Giardia can be treated, but why go through the agony in the first place? Water in the backcountry: think before you drink. Is it a safe source? 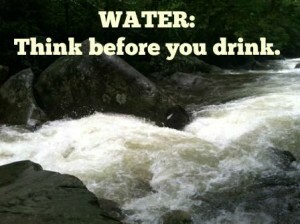 So parents, before you encourage your child to partake of the Smoky Mountain waters: think before you drink! 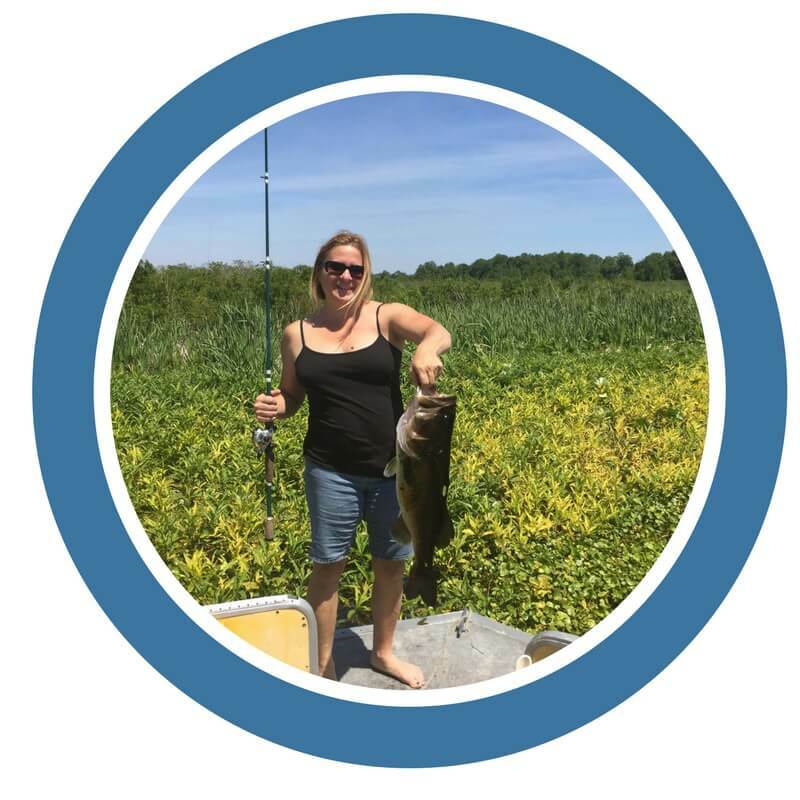 That beautiful pristine stream may come with a bite! 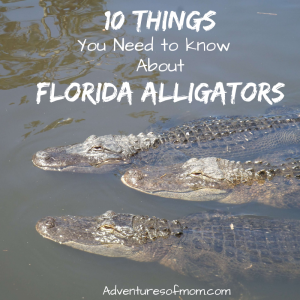 Consider carrying in your own potable water or bringing a small water filter (like Lifestraw). The American Red Cross has information on treating water for drinking.